Help! I got an FBI virus! The FBI virus has recently made its evil introduction to the cyber world. It strikes fear into the hearts of those who come across, but what exactly is it. It is actually known as Raventon Ransomware and is more spyware than it is virus. The intention of the virus is quite simple: money. But this is no ordinary virus infection. It has potentially to cause serious damage to your computer and compromise all of your data. Unlike invisible virus infections that slow your computer down, cause freezes, and lock up the computer, the FBI virus appears very loud and in your face. When opening a browser you will be hit the a message that usually follows as such: You have been violating copyright and related rights law, and have been using illegally obtained material. It will usually lock the computer up and not allow the user to remove the warning without having to fully shut down the machine. 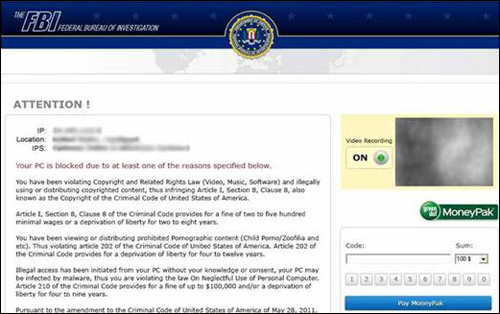 Though a partner site called MoneyPak, this virus will try to coerce people into paying up to $200 to remove this virus from the computer. It even provides detailed instructions on how to make these false payments. Three words of advice: Don’t Do It! Aside from scaring the daylights of the users, like any malware infection on a computer, it carries the possibility of accessing your important files as well as secured information such as credit cards. If the virus remains on the computer for too long a period, the user will also run the risk of complete data loss. While sophisticated anti-virus suites such as Norton and McAfee are usually more than effective against virus infection, they sometimes can miss well designed malware such as the FBI virus. 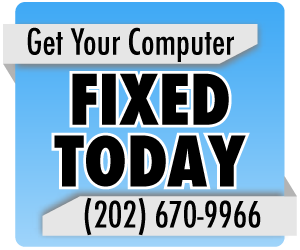 Your best bet would be to contact a local computer repair company and have a highly-trained computer repair technician assist you in removing the virus. In summary, please do not make any payments for this virus. Please do not think the virus is gone because it is no longer popping up. Please contract a computer repair company so that they can help get the issue resolved for good.